Dangerous driving is when the standard of driving falls far below the standard expected of a careful and competent driver. If you’ve ever watched ‘Police! Camera! Action!’ most, if not all, of the drivers are guilty of driving dangerously. It is also helpful to think of dangerous driving as a continuing course of conduct – i.e. ordinarily more than a single action or a single infraction. Can driving too fast be classed as dangerous driving? Yes. There are long-standing legal authorities that state that grossly excessive speed can constitute dangerous driving even where there are no other factors. It is common sense that travelling at, say 120 mph in a 60 mph zone, would be dangerous, particularly because other drivers would not expect a vehicle to be travelling at that speed. It has been explicitly stated by the High Court that very little else is required in addition to excessive speed for a charge of dangerous driving to be made out. 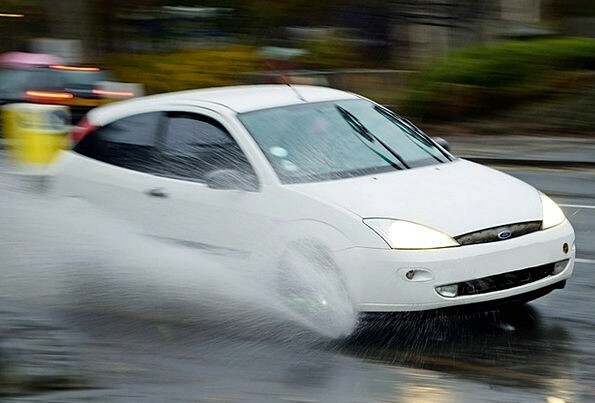 Apart from speed, what else can be classed as dangerous driving? Driving a vehicle that is in a dangerous, un-roadworthy condition can also constitute dangerous driving. Dangerous driving carries a minimum mandatory period of disqualification of 12 months. Additionally, there is a compulsory order to resit an extended test of competency to drive before you can hit the road again. Basically, this consists of passing a two-hour driving test, no easy feat! It can be difficult to obtain insurance if you have a conviction for dangerous driving. There are specialist insurance companies who deal with ‘high-risk’ drivers but their prices tend to be prohibitive for most people. If I am charged with Dangerous Driving what are the next steps? You should expect to receive a Citation to attend at the Court closest to where the allegation of dangerous driving occurred. The time-scales for service of the Citation vary wildly from place to place. In smaller jurisdictions like Dumfries and Stranraer the time-scales tend to be around 8-12 weeks from the date of the offence; in Glasgow it is closer to 24 weeks. There is no time-limit for service of papers. If you have been charged with dangerous driving then you should contact our office as soon as possible. Is there a way out of dangerous driving? The short answer is ‘yes’. Michael Lyon Solicitors have a fantastic record and reputation for successfully defending charges of dangerous driving. The Procurator Fiscal have to satisfy the Court beyond reasonable doubt that the standard of your driving fell far below the standard expected of a careful and competent driver. It is always open to the Court to disagree with the evidence of the prosecution or at least have a reasonable doubt as to whether the standard of your driving meets the very high test for dangerous driving. Even if the Police and the Procurator Fiscal are adamant that your driving was dangerous, the Court can take a different view. Hiding behind the charge of dangerous driving is the statutory alternative charge of careless driving (which is punishable by the imposition of penalty points in the range 3-9; or discretionary disqualification if the Court feels that is justified). Indeed, many cases ultimately end with a finding by the Court that the standard of driving was careless as opposed to dangerous. The tendency for the Police and the Procurator Fiscal is to ‘over-charge’ a case in the expectation that if the driving is not proved to have been dangerous that it will result in a conviction for careless driving. If I am found guilty of dangerous driving, can I argue hardship? You are referring to an exceptional hardship proof. This is not available to people who are convicted of dangerous driving. An exceptional hardship proof can only be utilised by drivers who are at risk of a ‘totting-up’ disqualification (i.e. reaching 12 penalty points within a 3-year period). As dangerous driving is not an offence punished by penalty points, this is not an option. If you have been accused of dangerous driving, contact our office without delay to speak to a specialised road traffic solicitor. We will give you sound legal advice and we would suggest looking at the testimonials section of our website to read the experiences of previous clients. We will be happy to answer your questions on the phone and we can meet in person in our office in Glasgow or Dumfries. If you are facing this charge, call today. We are here to help you.